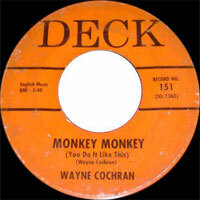 Chanteur Rock 'n' Roll US né en 1939 à Thomaston (Californie). 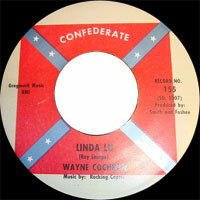 Wayne Cochran enregistra quelques singles sur les labels Scottie (59), Gala (61-62), Confederate (62), Aire (62) et Chess Records (67). 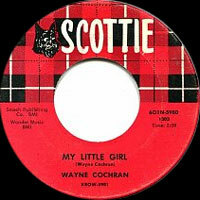 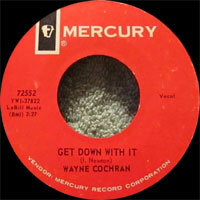 He cut his first record, " "My Little Girl," on Scottie in 1959. 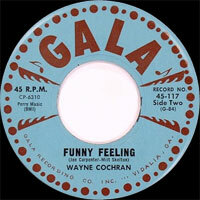 Cochran cut two singles for Gala in the early '60s ("Funny Feeling" and "Liza Jane") before moving on to Confederate ("Linda Lu") and the Aire label ("Cindy Marie"). 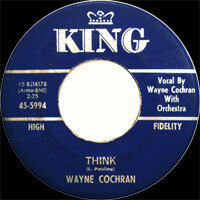 He obviously loved cutting songs titled with women's names and the trend continued on King Records with "Little Orphan Annie." 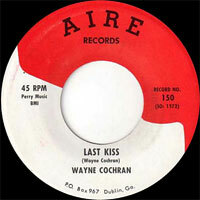 He also redid his own "Last Kiss," (which he wrote) for his second King single; while "Last Kiss" didn't do much for Cochran, it exploded for J. Frank Wilson & the Cavaliers, who reached number two on the pop charts with it in 1964. 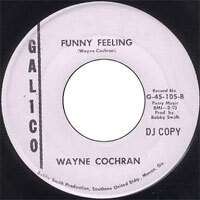 All the singing — at the top of his lungs — along with the usual musical excesses reduced his once-mighty voice to a fraction of what it was. 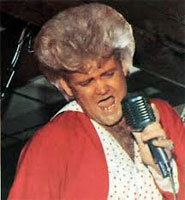 By the time he started appearing on national television shows, the Wayne Cochran that thrilled throngs in Southern pits and Midwest holes was all show, the voice practically gone, so he ratcheted up the live shows with as much gloss as he could. 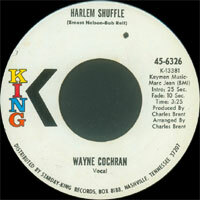 Significant singles included a remake of Bob & Earl's "Harlem Shuffle," which bubbled onto the pop singles chart, and "Sleepless Nights." 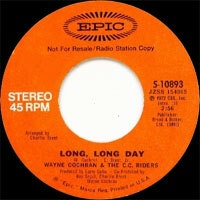 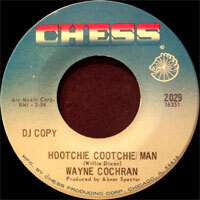 Wayne Cochran & the C. C. Riders had a Miami reunion in Miami on July 26, and on August 1, 2001 in Hollywood, FL. 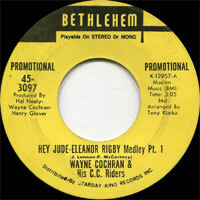 The C. C. Riders were many, and even included renown jazz bassist Jaco Pastorius at one time. 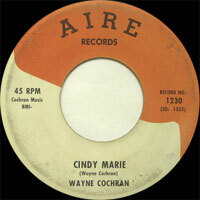 Cochran went through years of turmoil before becoming a born-again Christian and pastor; he started a ministry in 1981.